I’m taking a quick break from my professional photos to peek into our lives this afternoon. Lil’ Miss K always falls asleep on the way home from church, but usually she wakes up when we get her out of the car. 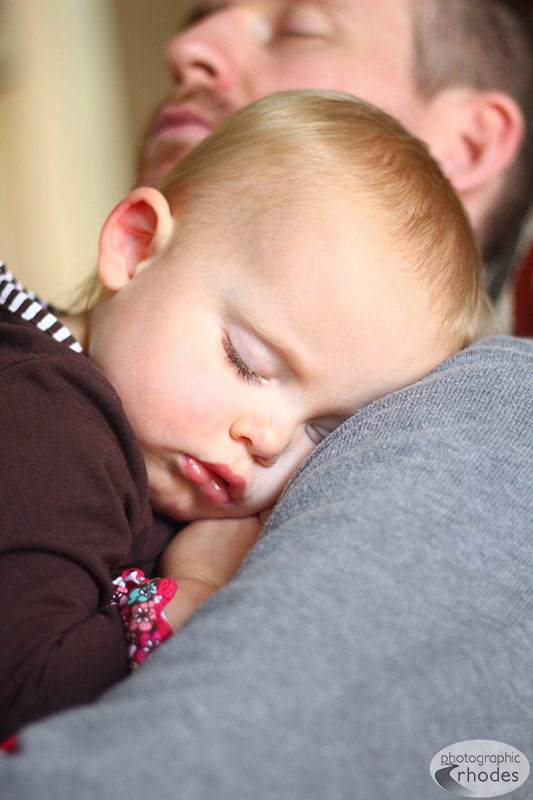 Today however, she was so worn out she stayed asleep on Daddy, which gave me a rare opportunity to capture this sweet moment.